Last Saturday was the opening of the new Liverpool Forever 21 store and we were invited along to host the #F21LayerLaydown challenge! We arrived an hour after it opened and it was jam-packed with fashionistas snapping up the bargains. We were both kitted out with Forever 21 for the event, and I chose these super velvet suspender legs (£10.50), Los Angeles knit jumper (£18.75) and this olive/faux leather jacket (£36.75) which has a nifty zip so I can get my crop on if I want. The store opening was the most successful one in the UK, the boys and girls of Liverpool just couldn't get enough and neither could we! The shop had an incredible atmosphere, the first 200 shoppers were given gift cards and the instore DJ was playing the hottest tracks! 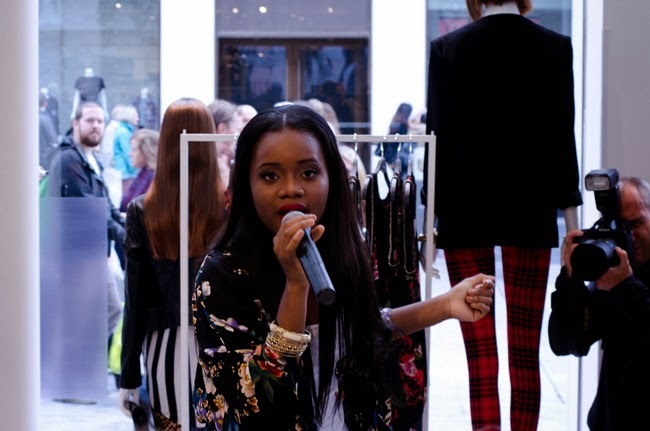 There was also a performance by the beautiful A*M*E who was decked out in Forever 21 (naturally). I want her floral kimono, how cute!? Both Jade & I were extremely impressed by the prices, everything is so affordable with lots of garments as cheap or cheaper than Primark! Hello £7 jeans and £2 vest tops. We were hosting the #F21LayerLaydown challenge in the basement with the lovely Frances of Frances Cassandra which was lots of fun. The store was giving away a HUGE £1000 gift card to one lucky shopper who styled an outfit, took a snap of it and uploaded it to Instagram using the competition hashtags. We can't wait to find out who the winner is, there were lots of awesome outfits created! I'm sure you'll agree Jade looked amazing in her plaid/leopard combo! 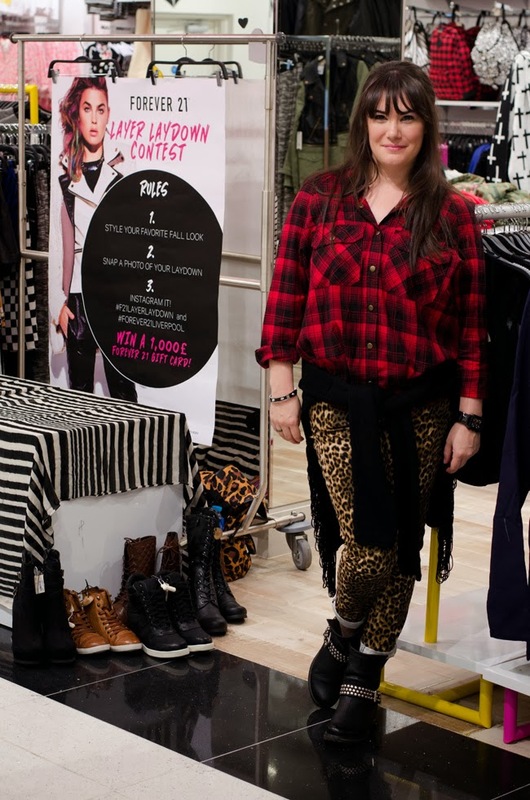 She fell in love with these leopard skinnies (£18.75) after spotting them on the mannequin and a helpful member of staff tracked them down for her. It's worth noting all the staff in this store are just sooo nice. 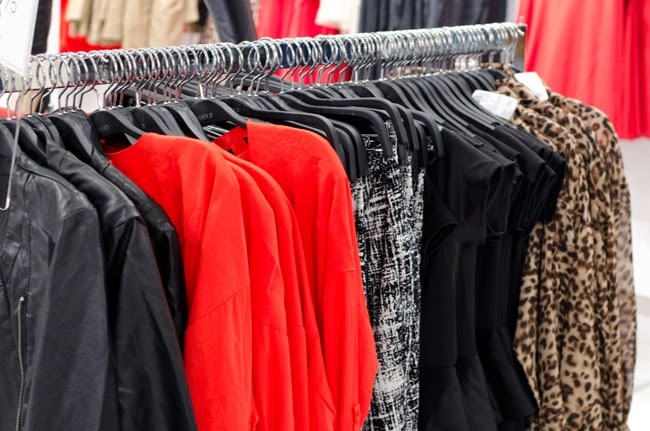 Do you have a Forever 21 near you? Wow looks amazing! £2 tops OMG I love that they do plus size! Ahh I love both your outfits, you looked great. 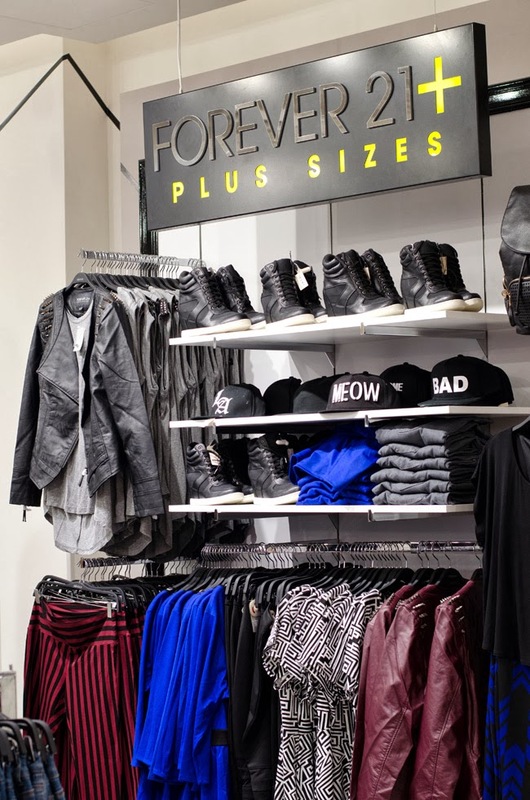 Spotting so much stuff I like in your pictures, definitely need to give Forever 21 a visit. I'm also desperate to go shopping in Liverpool some time now! Awww, next time for sure - it's fab! Those are great outfits! I really need to star getting some more edger outfits! I'm not sure how I feel about those leggings, I totally want them but at the same time not sure!! They look so gooooooooood.